Felder's special Open House a success. Felder Group Canada celebrated a special 10th Anniversary Open House at their offices and showroom in Mississauga, Ontario Nov. 9-11. 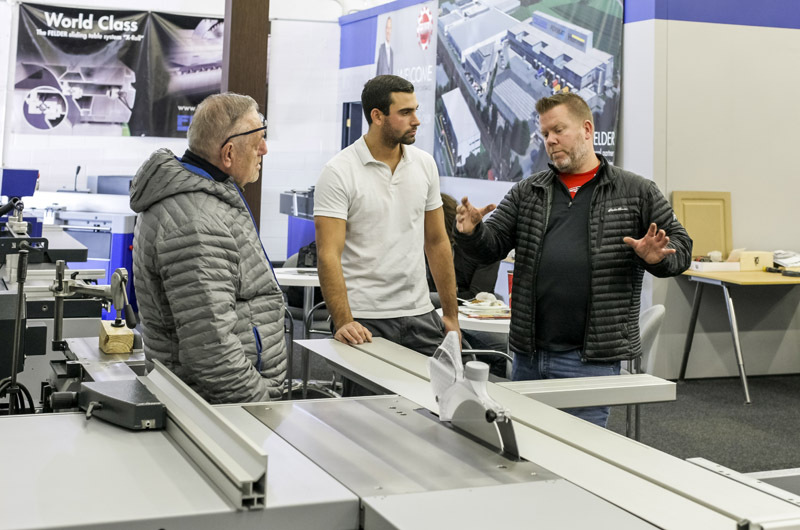 Customers and woodworking professionals were invited to experience Austrian hospitality and check out the company’s latest machinery showcasing Felder woodworking technology and expertise. A large number of machines were on display, from the Felder, Format4 and Hammer lines as well as new models introduced this spring at LIGNA 2017, such as the FW1353 wide belt sander and the new Tempora 60.06 edgebander. 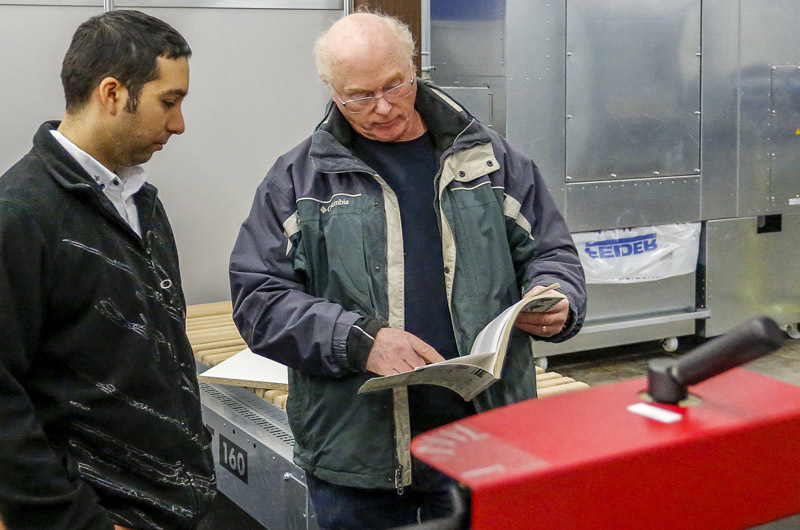 Andy Gombaez, CEO, said the Open House was a success and following as it did closely on the heels of a successful WMS show, they saw and spoke to many customers who made initial inquiries at the show and were now ready to sign equipment deals. And although the year isn’t over yet, following their strongest month ever in November, Gombaez said 2017 will also mark their best year ever with continued strong growth. “We’ve had another strong year this year with good growth and for our Open House people took advantage of some of the specials we were offering for the week,” he said.